and you can get one for FREE every week! Go HERE for this weeks FREEBIE. the Miss Kate Cuttables "Irish Owl" file. 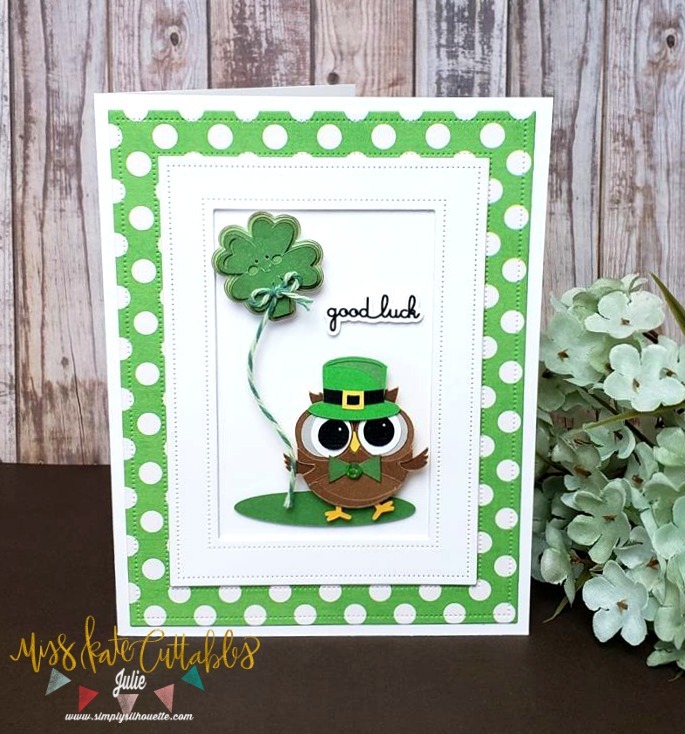 I switched it up a little by using the "Cute Clover"
St. Patrick's Day digital paper collection.